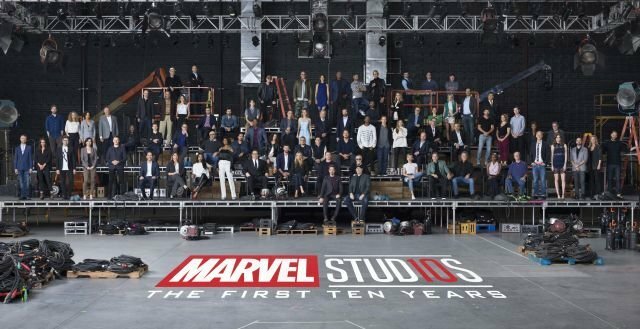 See the Marvel Studios 10-Year Anniversary Class Photo and Video! 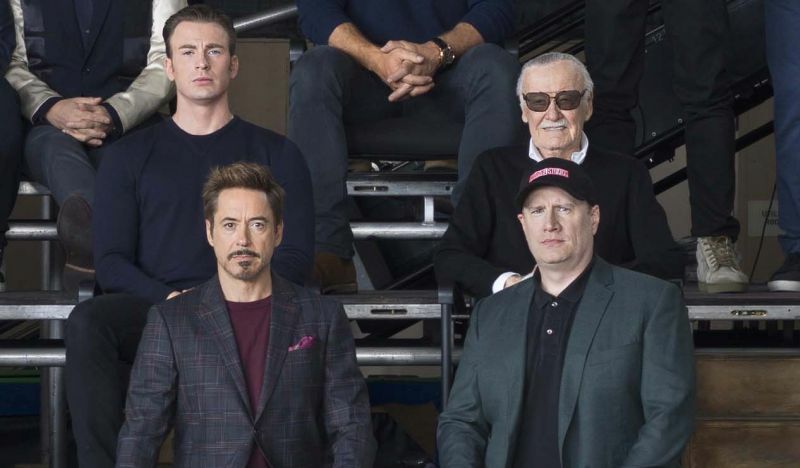 You’ve no doubt seen the teases from last year when the entire Marvel Studios crew assembled together to take one big family photo, and now Marvel Studios has officially released that picture featuring an impressive roster of more than 80 actors, filmmakers, producers, and artists. Can you spot them all? The full list of everyone included in the photo includes: Robert Downey Jr., Chris Evans, Chris Hemsworth, Mark Ruffalo, Scarlett Johansson, Paul Rudd, Benedict Cumberbatch, Chris Pratt, Chadwick Boseman, Brie Larson, Jeremy Renner, Tom Holland, Sean Gunn, Hannah John-Kamen, Zoe Saldana, Angela Bassett, Jon Favreau, Gwyneth Paltrow, Kurt Russell, Danai Gurira, William Hurt, Karen Gillan, Emily VanCamp, Tessa Thompson, Don Cheadle, Dave Bautista, Michael Peña, Anthony Mackie, Evangeline Lilly, Elizabeth Olsen, Paul Bettany, Frank Grillo, Letitia Wright, Laurence Fishburne, Linda Cardellini, Sebastian Stan, Ty Simpkins, Michael Douglas, Michelle Pfeiffer, Hayley Atwell, Pom Klementieff, Benedict Wong, Michael Rooker, Vin Diesel, Cobie Smulders, Samuel L. Jackson, Jeff Goldblum, Kevin Feige, Louis D’Esposito, Victoria Alonso, Stan Lee, Scott Derrickson, Trinh Tran, Alan Taylor, Brad Winderbaum, Louis Letterier, Jon Watts, Sarah Finn, James Gunn, Joe Russo, Anthony Russo, Joss Whedon, David Grant, Mitchell Bell, Anna Boden, Ryan Fleck, Jeffrey Ford, Peyton Reed, Jonathan Schwartz, Stephen Broussard, Ryan Coogler, Jeremy Latcham, Nate Moore, Christopher Markus, Stephen McFeely, Taika Waititi, Erik Carroll, Ryan Meinerding and Craig Kyle. But that’s not all! Marvel has also announced “The Marvel 10-Year Sweepstakes,” which will take place across social media and last for five weeks, from February 8 to March 15. Each week of the sweepstakes features a different Marvel Cinematic Universe film. Fans can post a photo of themselves on Twitter or Instagram and/or tweet their favorite personal memory from the film of the week using the film hashtag and #Marvel10YearSweepstakes to be entered for a chance to win. 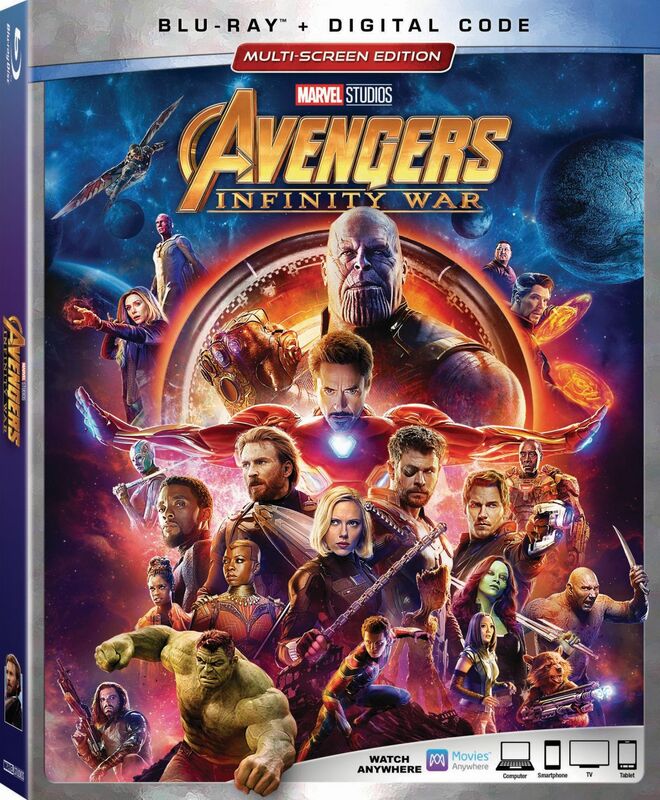 The Marvel Studios 10-year anniversary begins with the release of Avengers: Infinity War and covers an impressive decade of Marvel Studios’ blockbusters released from 2008 through the Avengers untitled film in 2019. In celebration of the anniversary, fans can expect exclusive consumer products and collectibles, along with in-theater events and much more in the coming months.